Doi Inthanon is the highest mountain in Thailand. It is located in Mae Chaem District, Chiang Mai Province. 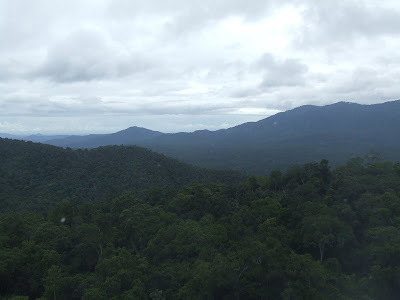 The mountain was also known in the past as Doi Luang (meaning big mountain) or Doi Ang Ka, meaning the crow's pond top. Near the mountain's base was a pond where many crows gathered. The name Doi Inthanon was given in honour of the king Inthawichayanon, one of the last kings of Chiang Mai, who was concerned about the forests in the north and tried to preserve them. He ordered that after his death his remains shall be placed at Doi Luang, which was then renamed. Today, the summit of Doi Inthanon is a popular tourist destination for both foreign and Thai tourists, with a peak of 12,000+ visitors visiting the summit on New Year's Day. In addition to a range of tourist facilities on the summit, there is also a Royal Thai Air Force weather radar antenna on the summit. 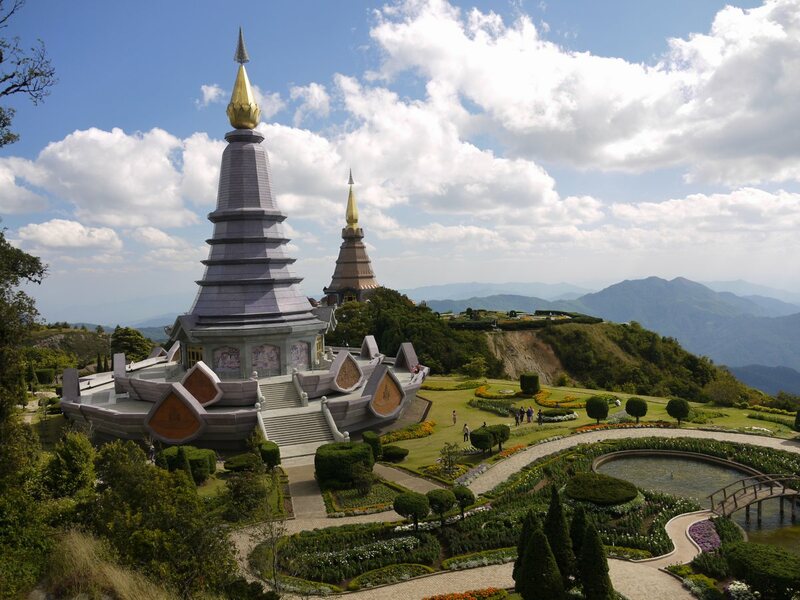 Doi Inthanon is part of the Thanon Thong Chai Range, a mountain range of the Thai highlands stretching southwards from the Daen Lao Range. This range, the southwesternmost of the Shan Highland system, separates the Salween watershed from the Mekong watershed. Other high peaks of the Loi Lar Mountain Range are Doi Luang Chiang Dao (2,175 m), Doi Pui (1,685 m), and Doi Suthep (1,601 m). In 1954, the forests around Doi Inthanon were preserved, creating Doi Inthanon National Park, as one of the original 14 National parks of Thailand. This park now covers 482.40 km² and spreads from the lowlands at 800 m altitude up to the peak at 2565 m. The summit experiences average year-round temperatures in the low to mid teens (Celsius) and high humidity. It is not uncommon for the temperature to drop below zero during the winter months. Given the varied climatic and ecological areas regions, the park supports a range of animal species including over 360 bird species. 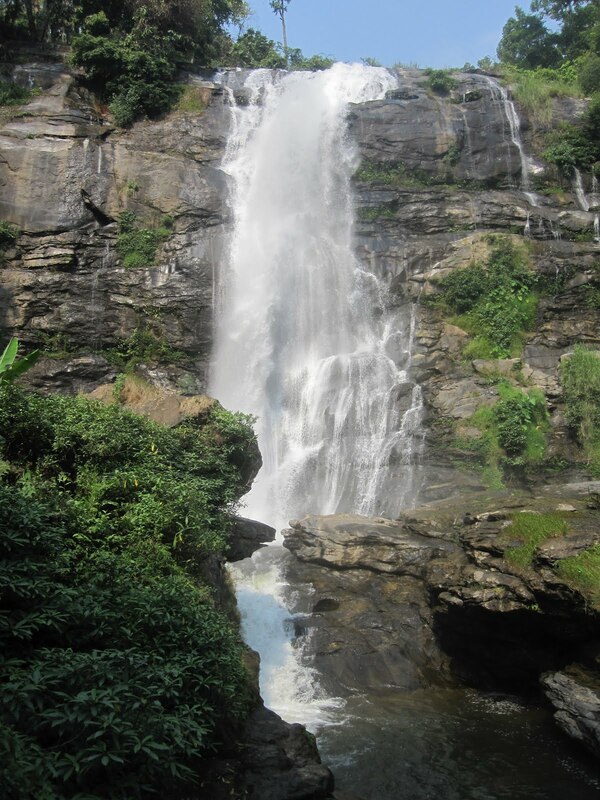 On the lower slope of Doi Inthanon, near the Karen hill tribe village Ban Sop Had, are the Wachirathan waterfalls, where the Wachirathan tumbles over a granite escarpment. On the main road to the summit of Doi Inthanon stand the two Napamaytanidol Chedi. These temples were built to honour the 60th birthday of the King and Queen in 1987 and 1992 respectively. Geologically the mountain is a granite batholith in a north-south oriented mountain range. The second-highest peak of this range is Doi Hua Mod Luang at 2,340 m.